This tall black and chrome bathroom sink tap tall is single lever in operation. 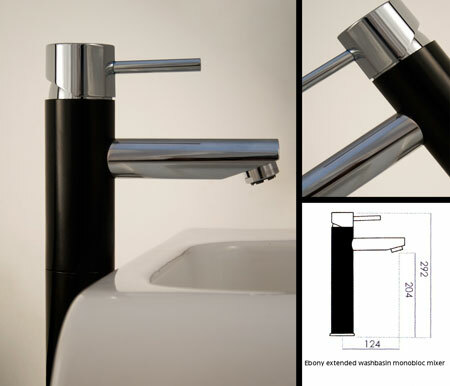 All extended taps are ideal for use with counter top basins and wash bowls. * Black & chrome on solid brass.